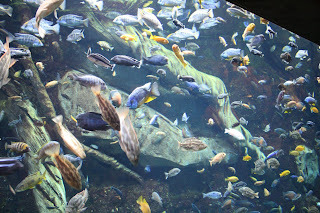 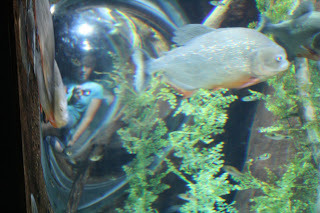 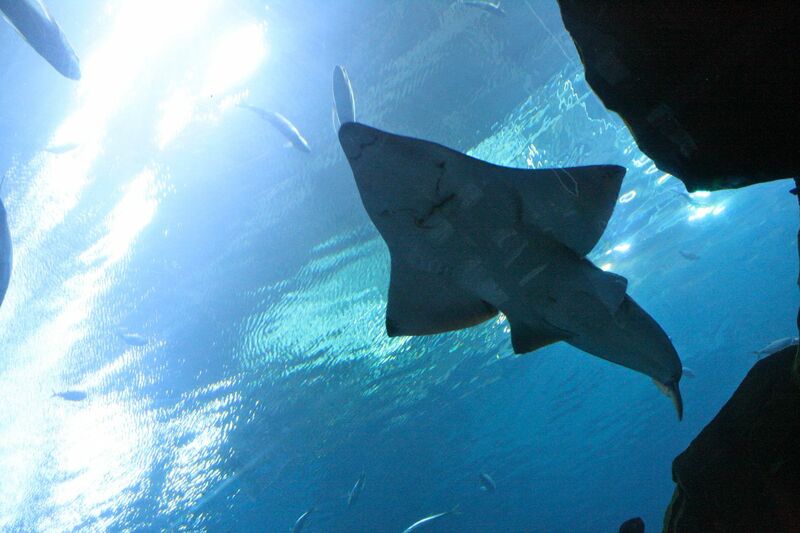 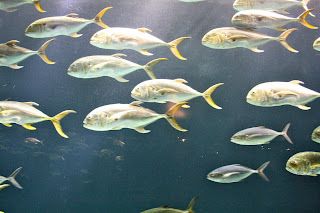 See-Dub: Vacation 2010: Atlanta - Georgia Aquarium. 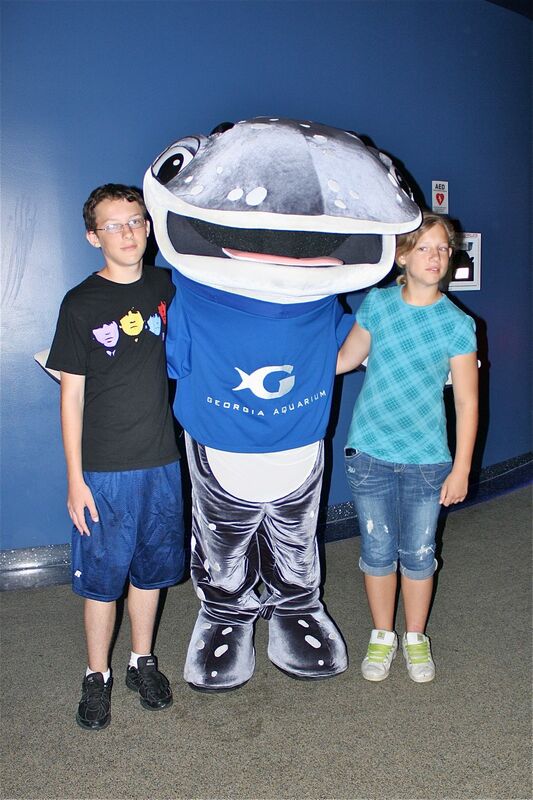 Not quite five years old, the Georgia Aquarium has already gained a fantastic reputation. 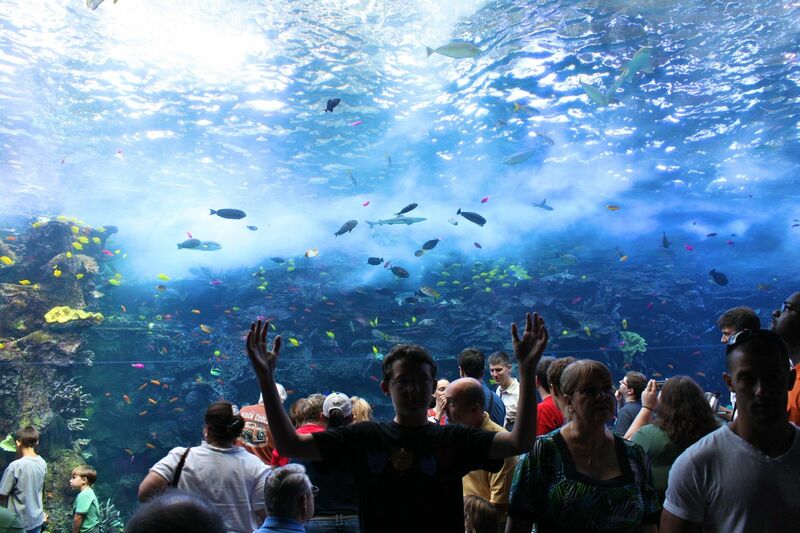 Since it's the world's largest aquarium with eight million gallons of water, LOTS of people flock there to take it all in. 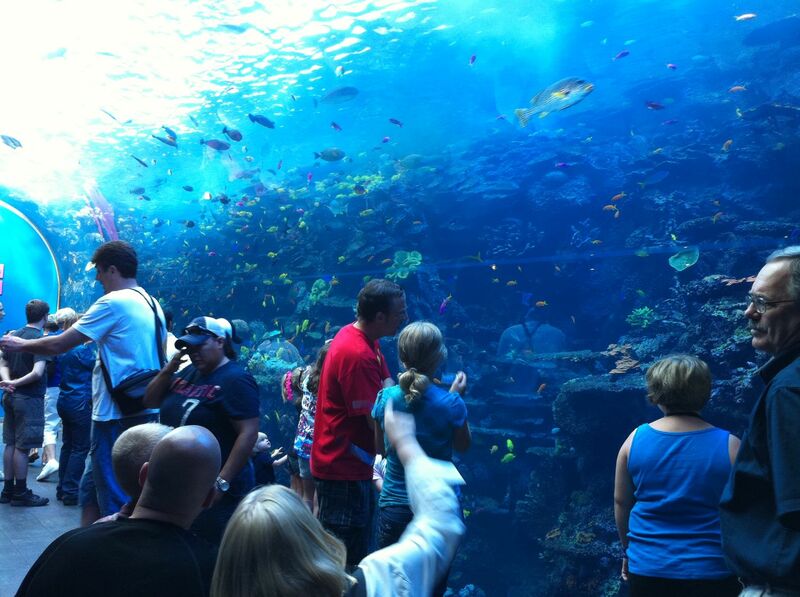 And that's what we found when we arrived that morning: LOTS of people. We had planned to go to the World of Coke first, but when the ticket line for the aquarium was crazy long, we went ahead and bought tickets for that. 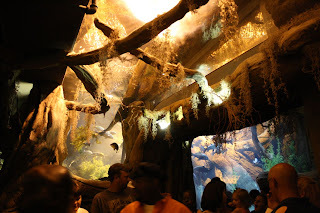 Instead of getting tickets for a later admission time, though, our tickets were for right then. Oops. 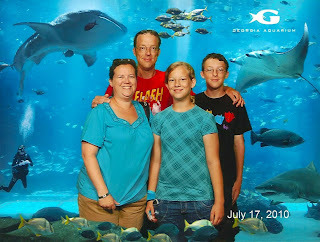 As it turned out, we had a great time at the aquarium, and by the time we left, the line for World of Coke was prohibitively long. 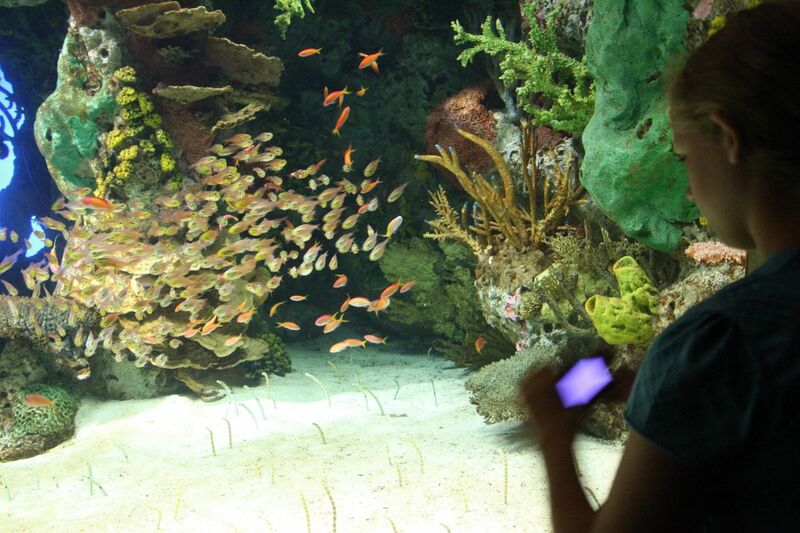 So much for our "aquarium now, Coke later" plan. I was disappointed to miss out on that attraction, but really, the aquarium alone was worth the stop in Atlanta. This guy quickly became our favorite. 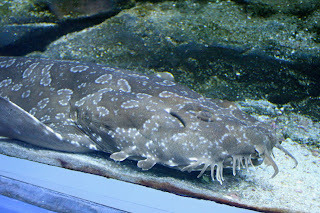 The pattern on his "skin" (scales really) was interesting, and with that knot on his head, he always looked concerned. 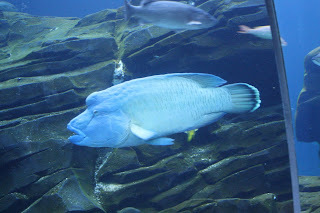 And then we saw him eat and enjoy a post-meal burp. Gross! 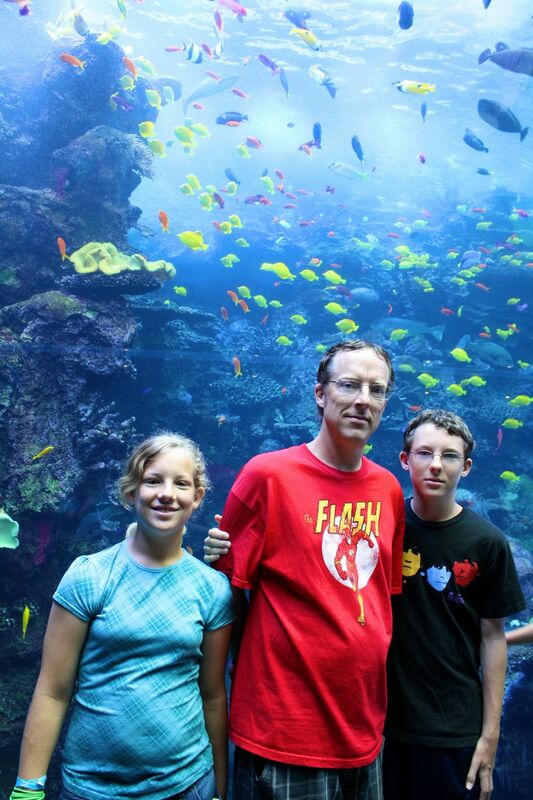 Funny, but GROSS! 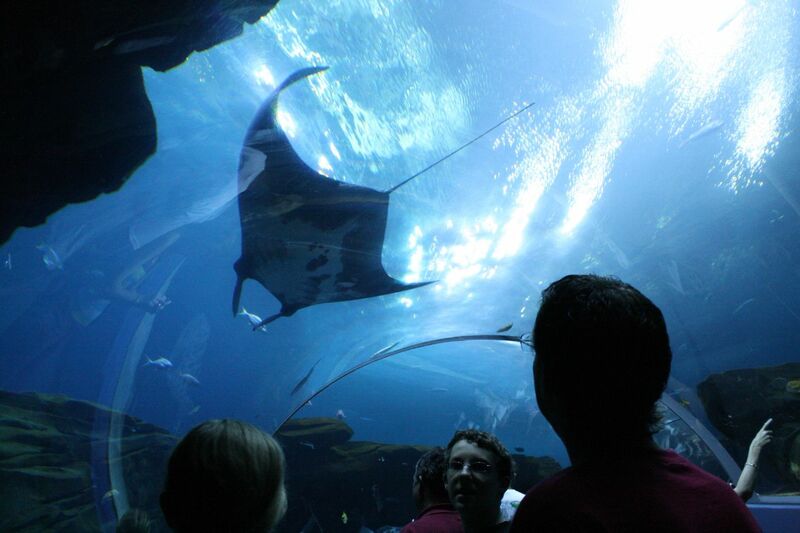 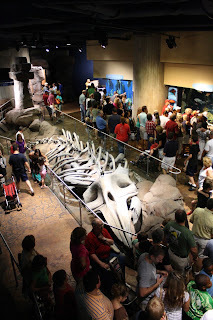 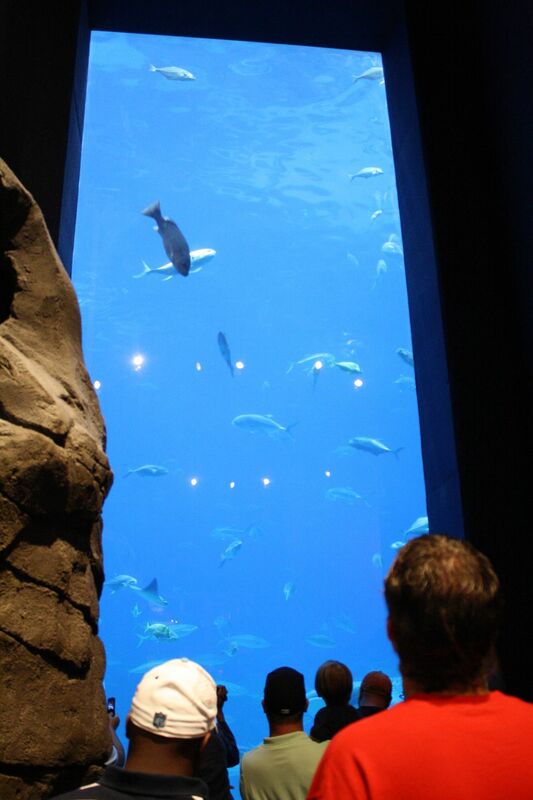 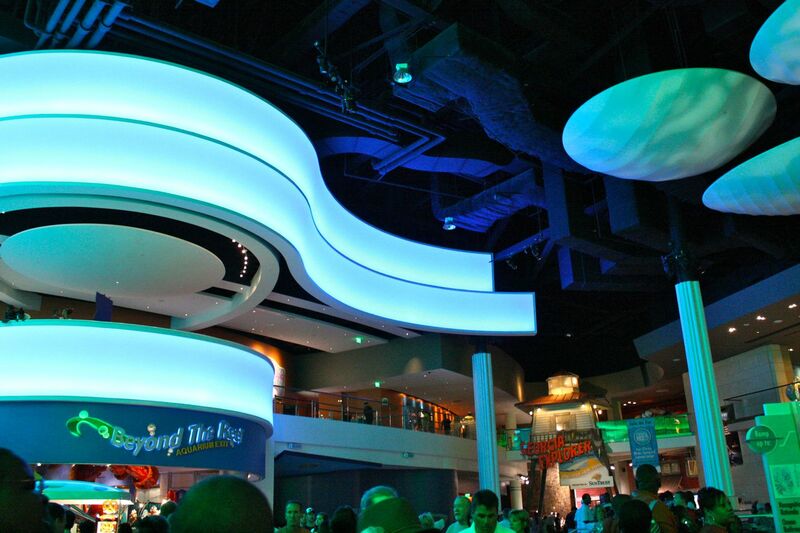 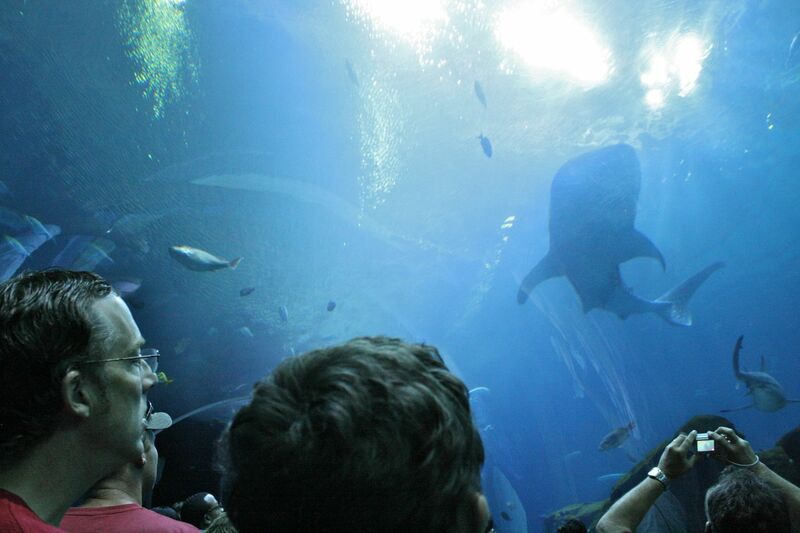 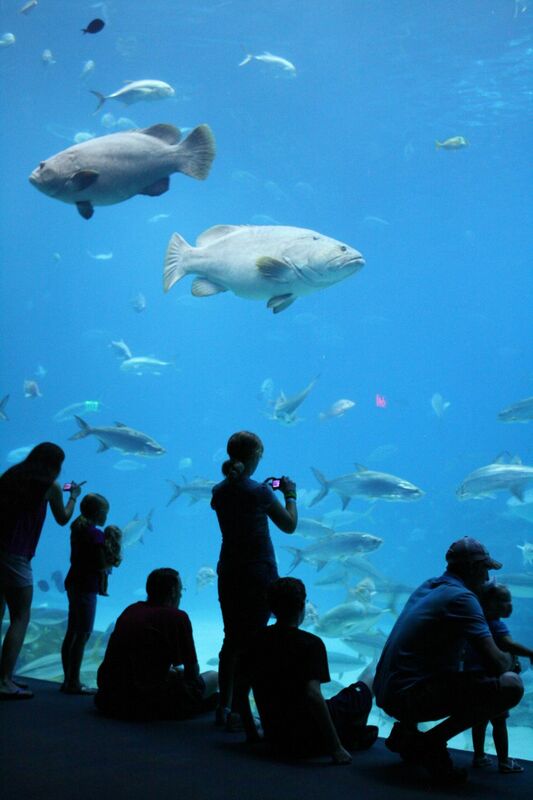 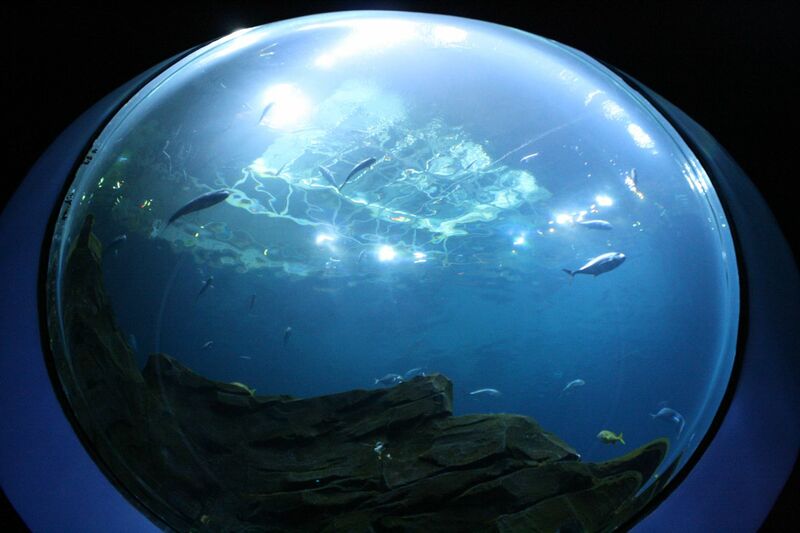 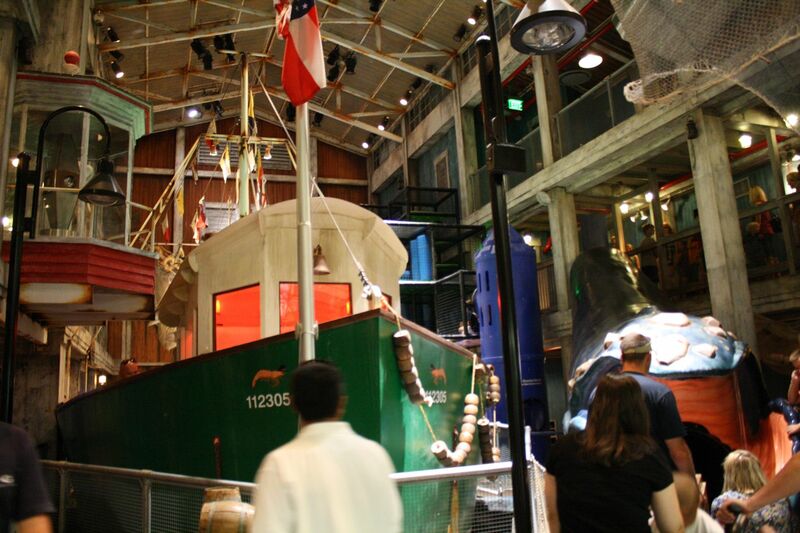 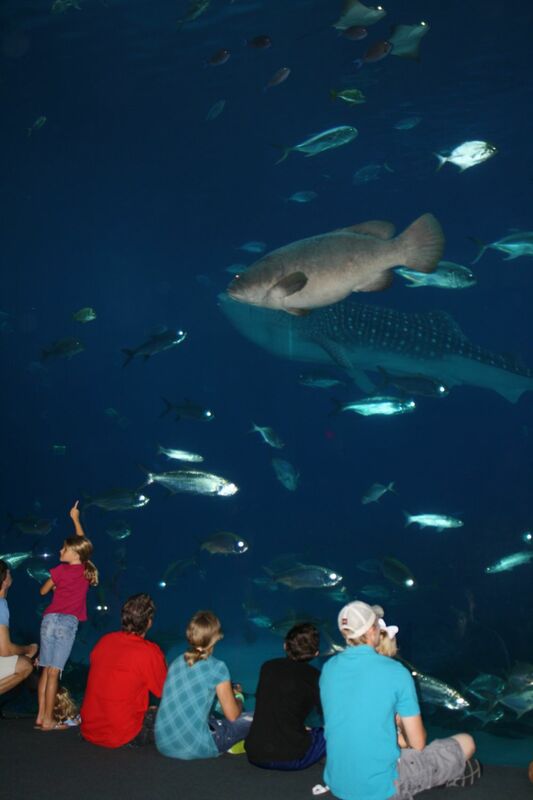 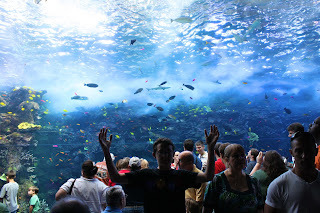 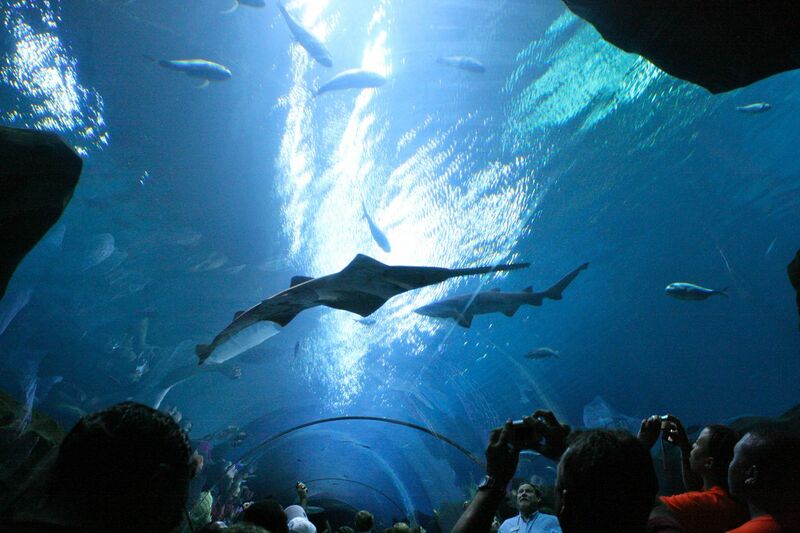 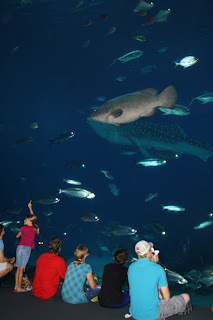 The ginormous viewing window in Ocean Explorer is 23 feet tall, 61 feet wide and 2 feet thick. 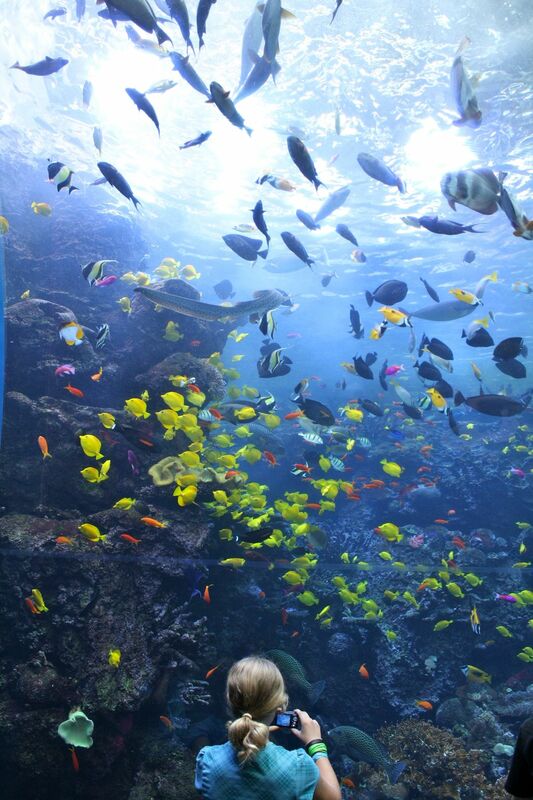 Impressive. This school was in the Tropical Diver section. 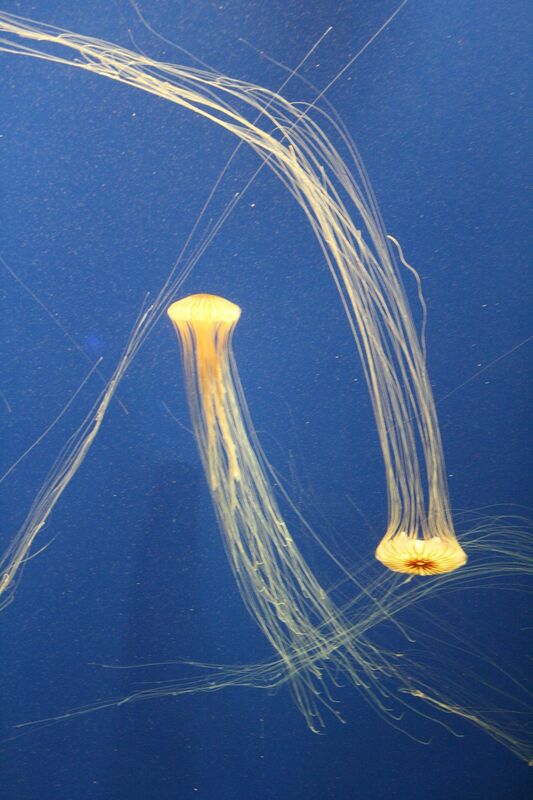 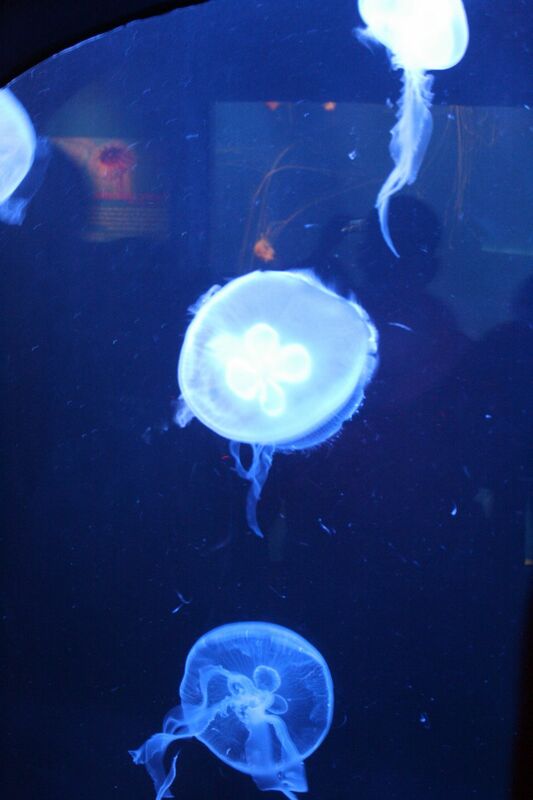 We could've watched the jellies dance for hours. 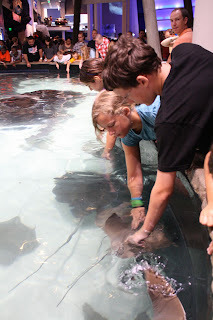 Ryan and Katie get up close and personal with the rays in the touch tank. This little guy was positively needy! 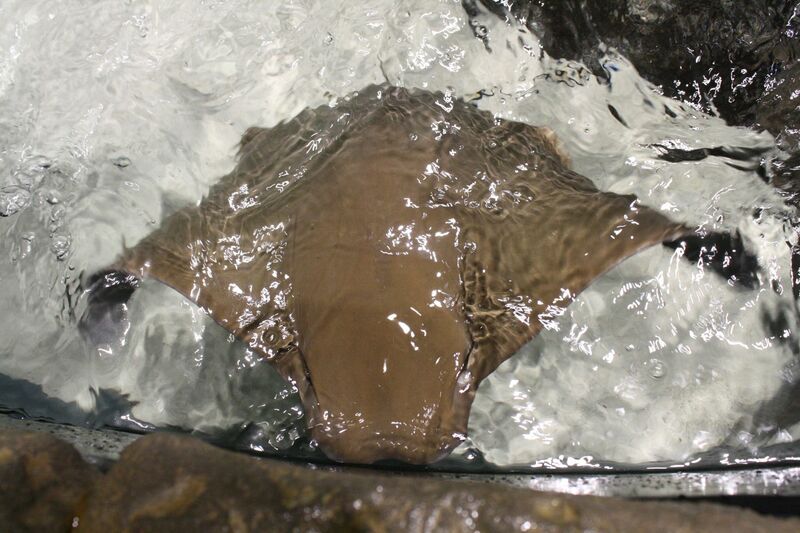 He kept coming around and out of the water to get a touch or two. Very ChaCha-esque. 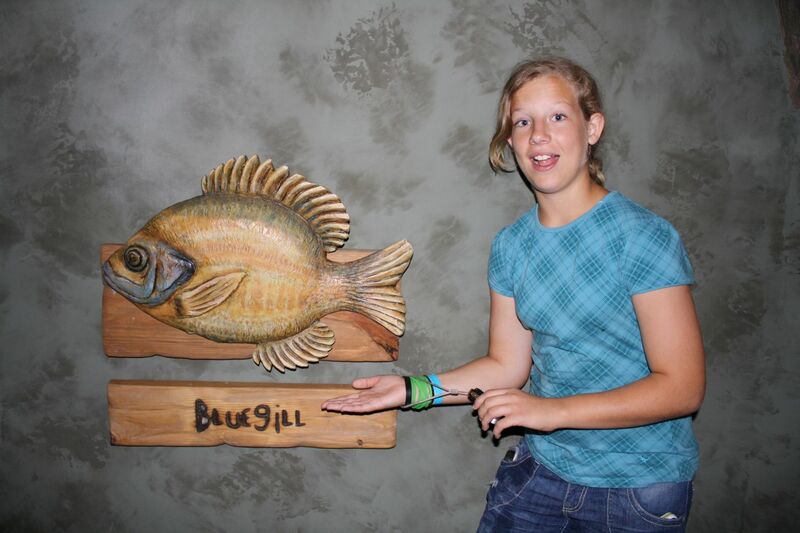 Check out the fish I saw in the River Scout section! 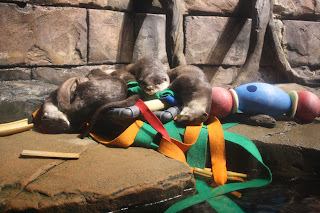 Otters! They're so tired out, and they haven't even been on the road for 13 days! 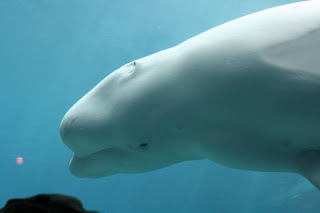 The belugas were so graceful in their big Coldwater Quest tank! But then one of them took a dump and it wasn't so pretty. 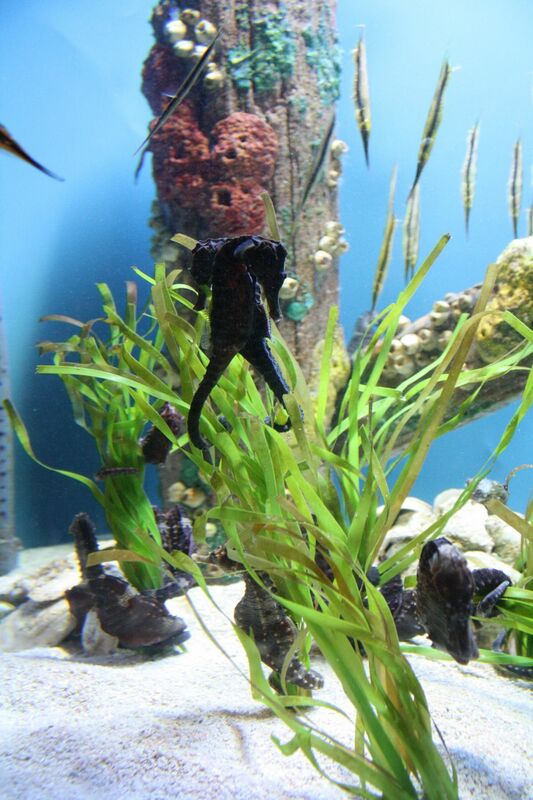 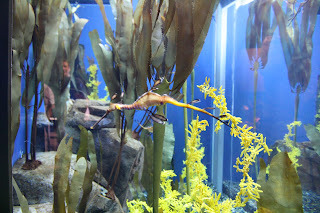 Sea dragons look like they belong more in a Dr. Seuss book than in an aquarium! 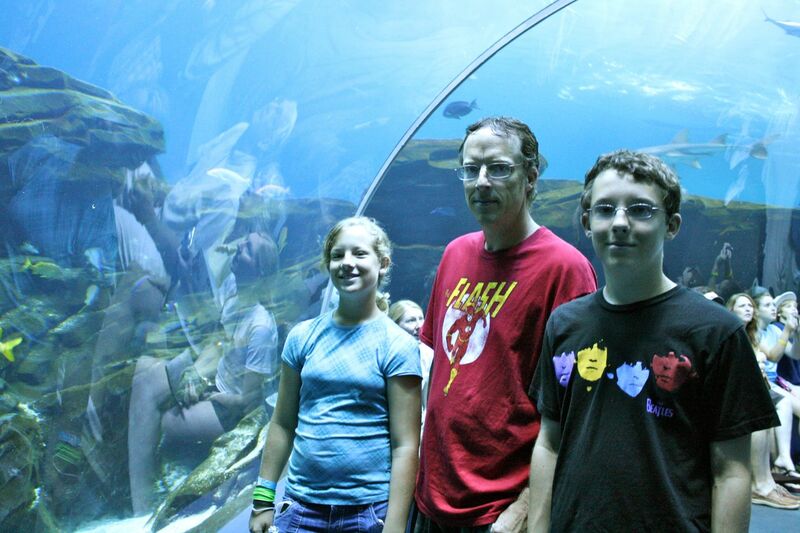 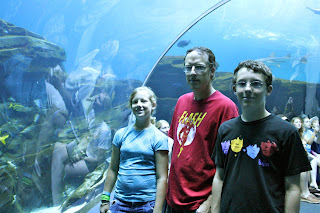 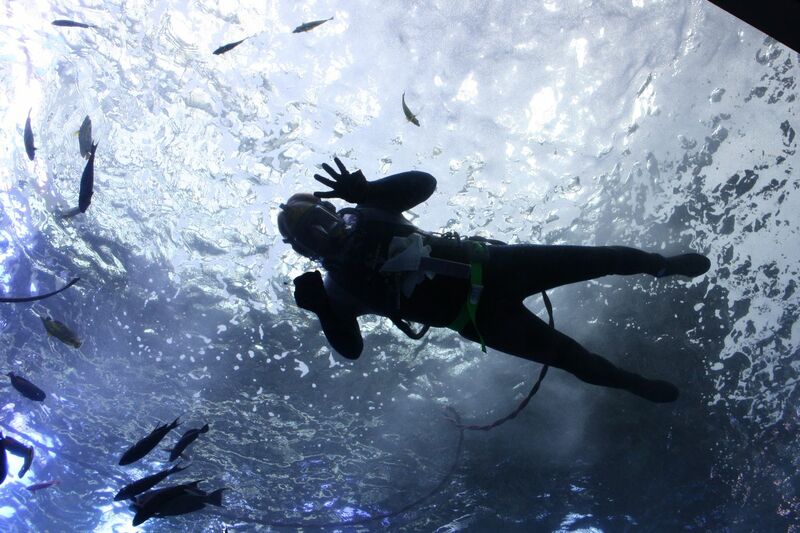 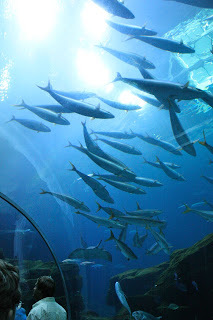 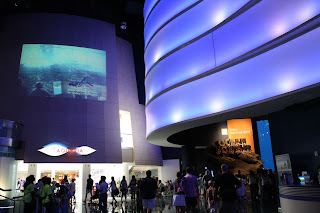 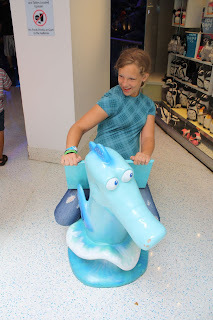 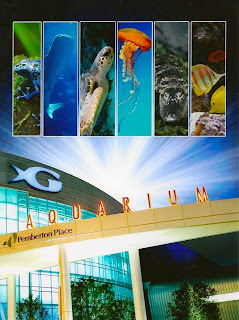 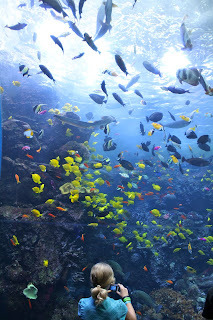 Before leaving the aquarium, we had to walk through Ocean Explorer one more time. That tunnel is so much fun, and the big viewing window is hypnotic. By this point in the trip, we were all pretty road-weary but so very thankful for all the amazing things we'd seen! 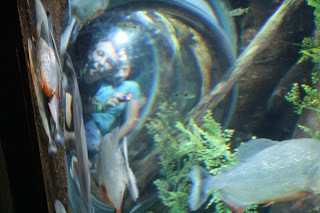 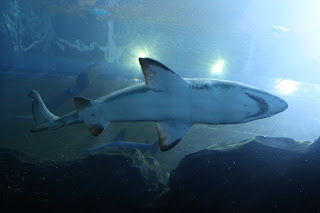 Stay tuned for video from our aquarium adventure, including the burping fish!